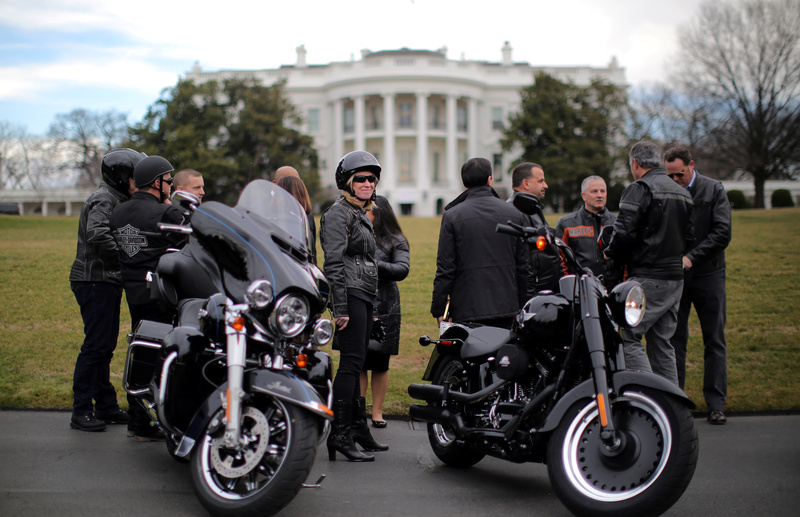 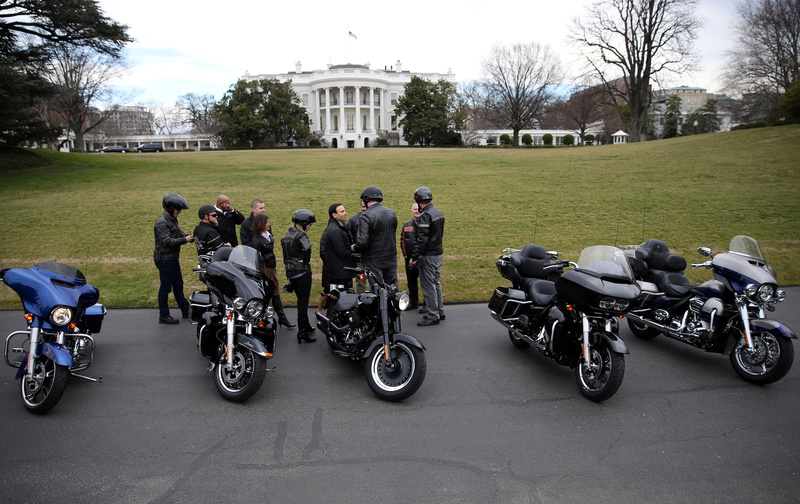 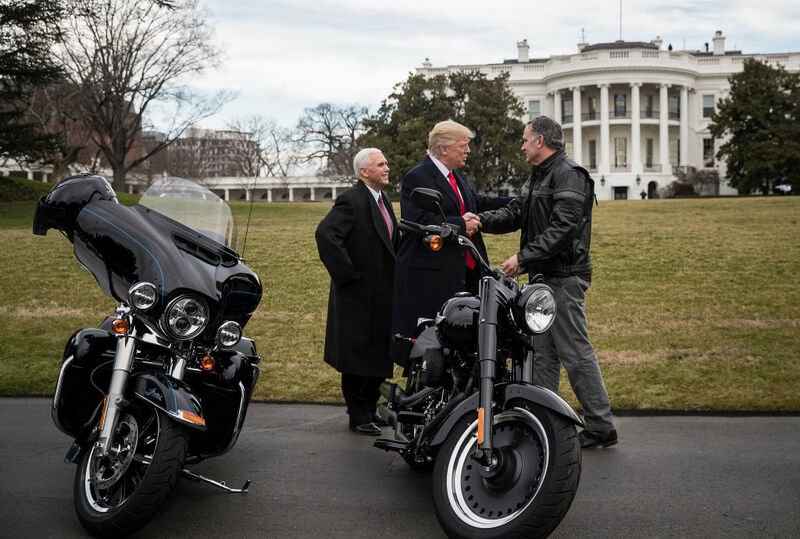 Donald Trump met with executives from Harley-Davidson Thursday, and he and Vice President Mike Pence greeted the team on the South Lawn of the White House. 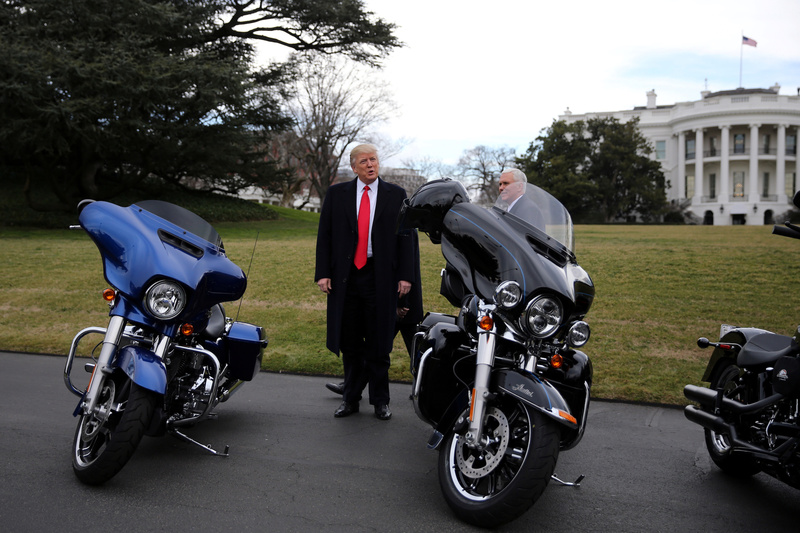 According to the White House press pool, Trump could be heard repeating the phrase, “Made in America,” while flashing his patented, double-thumbs up. 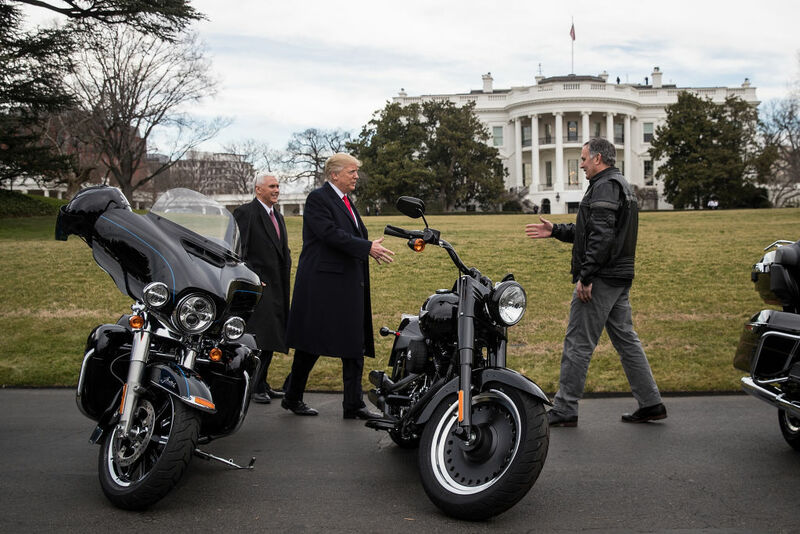 As Trump and the group headed back toward the White House, the pool asked him if he would be riding one of the bikes.